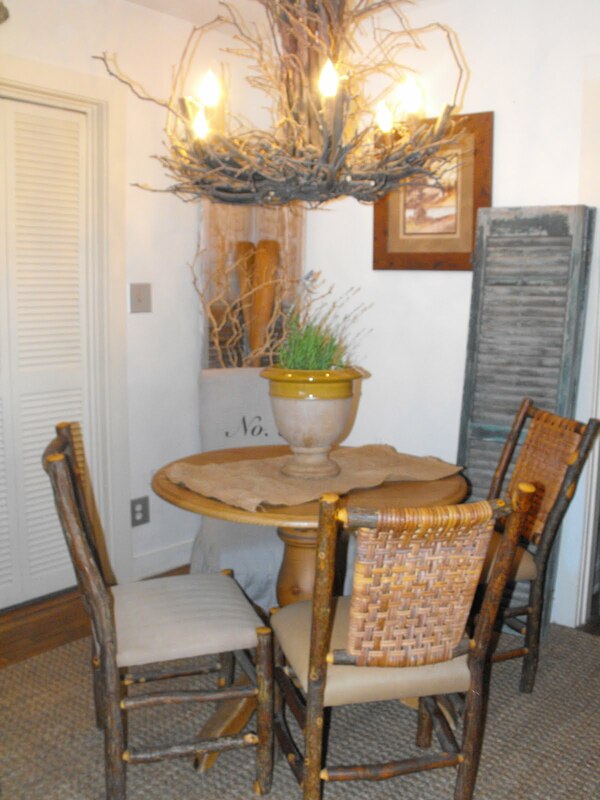 A broken twig chandelier, linen slipcovers, burlap, faded shutters, an aged map, a set of oars from my childhood Summer home, and a "found" (literally) object come together perfectly imperfectly to create the look and feel I define as rustica. This is my dining room in our new home on Saint Simons Island, Georgia. I am finally unpacked and am enjoying layering and texturing the same items in a new home that I had in our Coronado, California home. The fact the same items can look so differently in another home reminds me to always be willing to have fun and experiment. I encourage you to do the same. 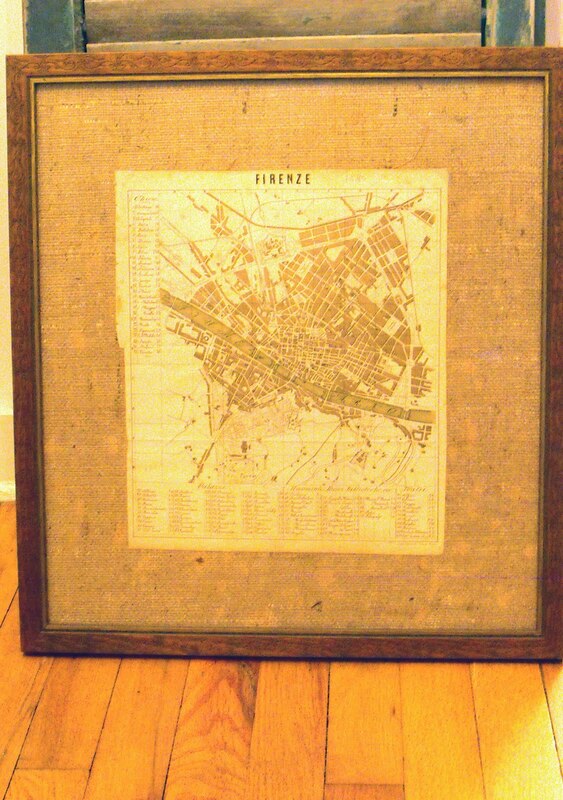 When last in Italia I purchased an antique map of Firenze (Florence). 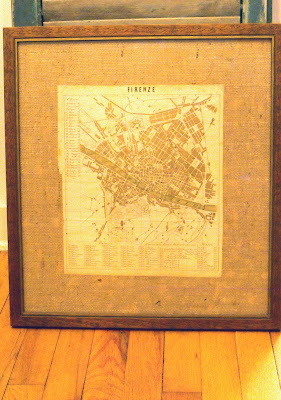 The paper was aged in that lovely, imperfect way so I "floated" it over burlap and mounted both in a rustic frame. 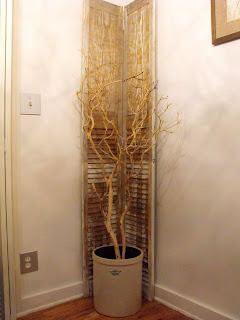 I initially set a manzanita branch into a crock I found thrown away and I placed both items in front of a set of faded shutters. I walked away satisfied right past those darling oars when it occurred to me I had a new home for them. I scooted the linen slip-covered No.3 chair (for my three Labrador Retrievers) under a pine pedestal table that sits in the middle of the room atop a heavily knotted seagrass rug. You might already suspect the rest of the chairs don't match perfectly (different fabric on the seats). What fun would that be? The key to not creating a room that looks mis-matched is to keep your color palette subtle. Here is another view of the corner and the wall with another set of faded shutters which I simply allow to lean on the wall. You have some very fresh, original ideas. I like that! Your little coastal cottage looks to be coming along nicely...happy to see you post again! YAY!! I was hoping you'd post something soon! It had been a while! 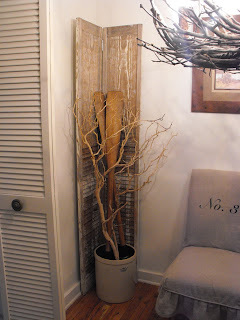 I always LOVE seeing your decor!!! Your creativity is rockin' again. You are so talented! Love what you have done. I thinks it's always fun to decorate a new home. Enjoy! 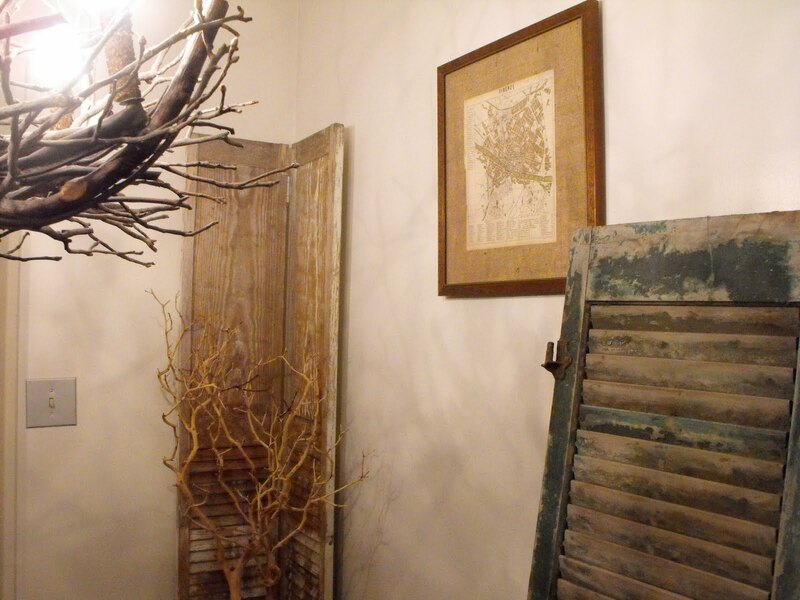 I get weak for old wooden shutters...especially if they have a nice weathered patina of paint on them! Love the look!